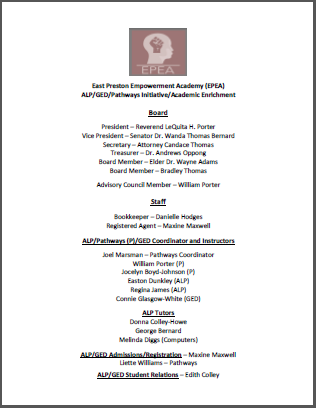 The East Preston Empowerment Academy (EPEA) is a ‘labor of love’ of the East Preston United Baptist Church, in which we seek to empower and equip members of our community with the necessary skills, tools and confidence to fulfill their lifelong dreams. This programme began in September 2014, and we are now into its’ third year of operation, with a vibrant student population, dedicated instructors and staff members, a committed Board of professionals and the support of the East Preston Church. Our programme began as a traditional Adult Learning Programme, and was then expanded to include a preparation course for the Graduate Equivalency Diploma (GED) Exam. Last year, we expanded to include a Trade Apprenticeship Programme, the EPEA Pathways Initiative, in which we train tradespeople to qualify for Red-Seal Certification with the Nova Scotia Apprenticeship Agency (NSAA). NOTE: Classes begin Monday, September 18, 2017 until Friday June 8, 2018. 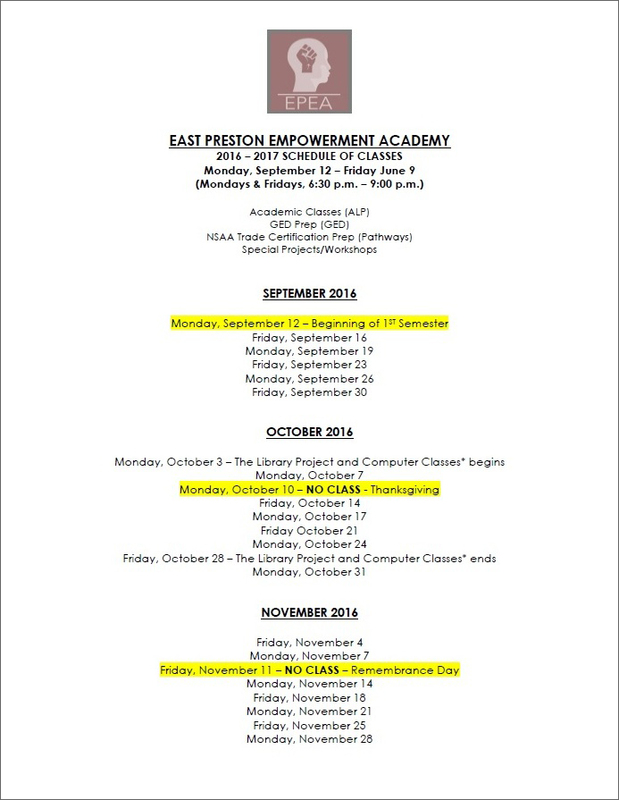 Classes are Mondays & Friday’s from 6:30pm-9pm. Every week, excluding holidays. 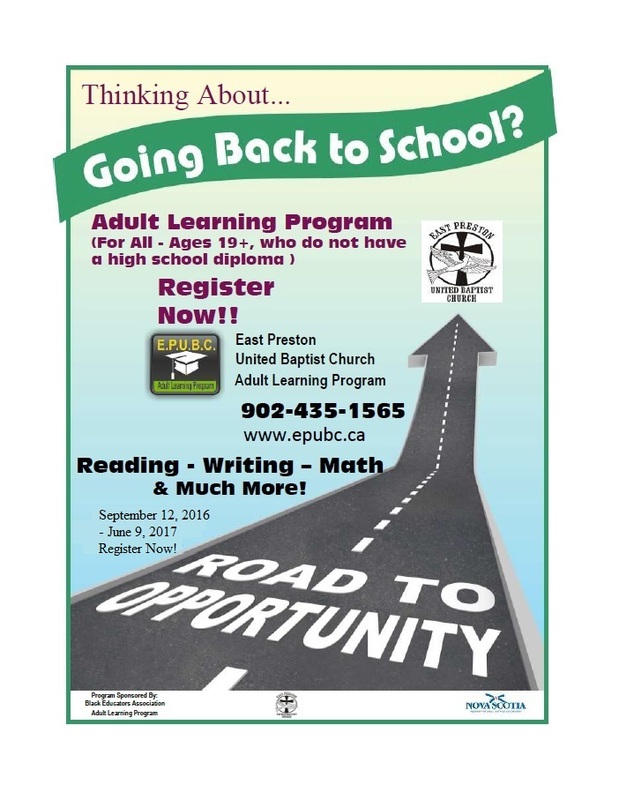 For more information click here or please contact Maxine Maxwell at 902.435.1565 or 902.434-2640 or email info@epubc.ca.